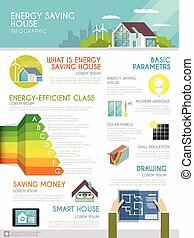 Energy-saving-house. 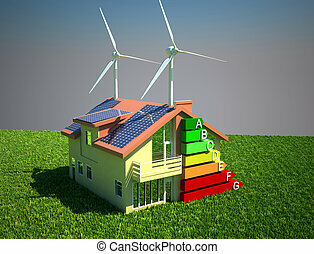 A green energy house with the ratings acting as smoke. 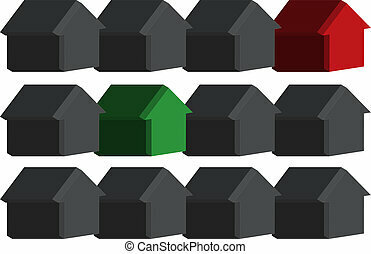 three rows of energy houses with a green house and a red house isolated from the rest. 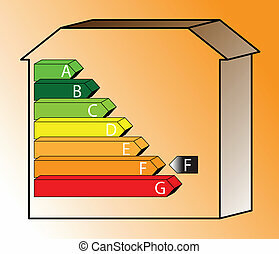 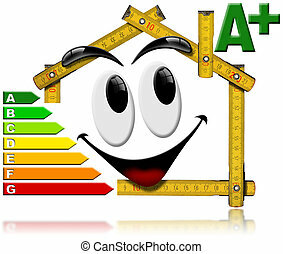 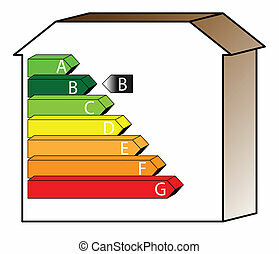 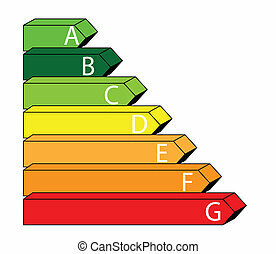 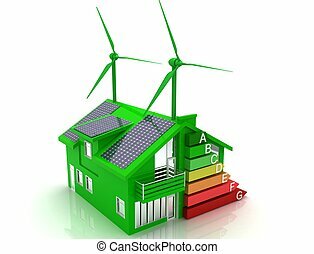 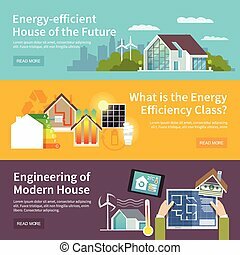 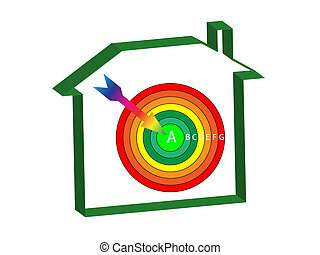 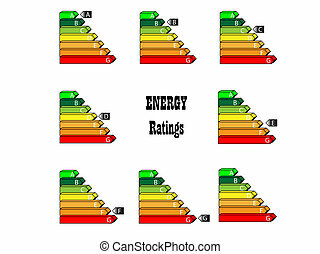 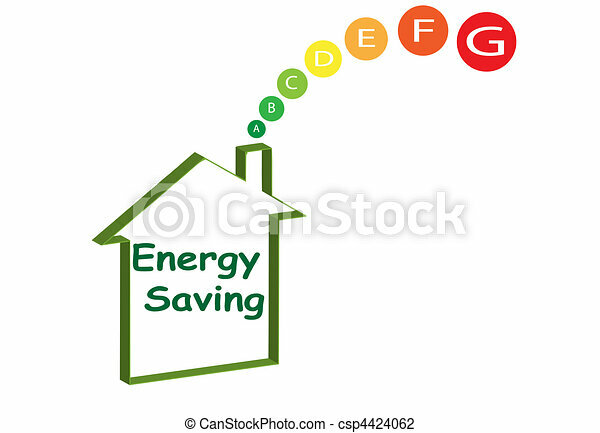 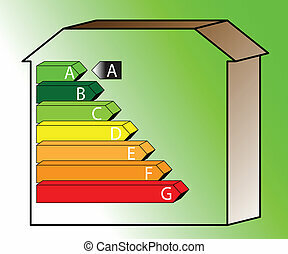 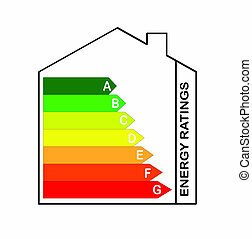 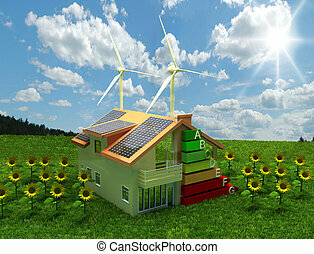 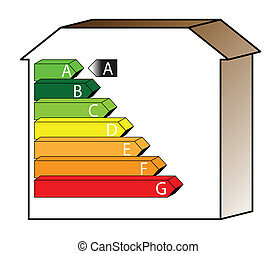 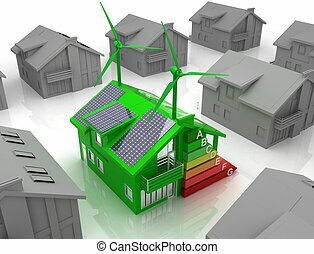 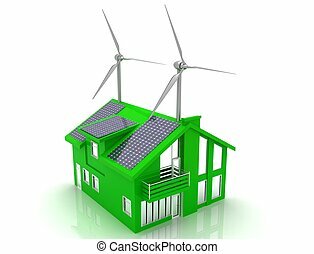 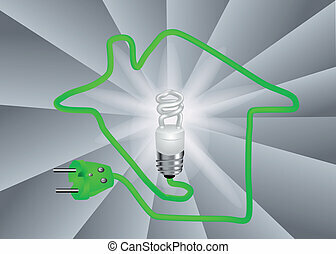 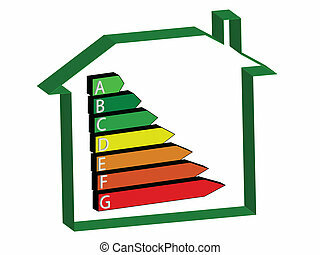 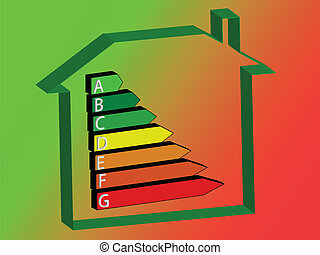 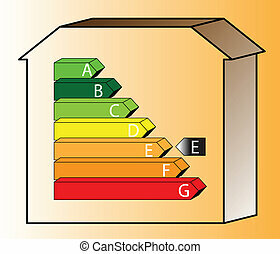 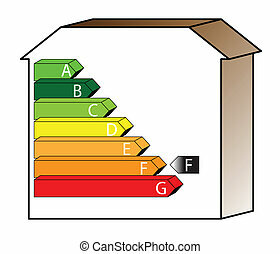 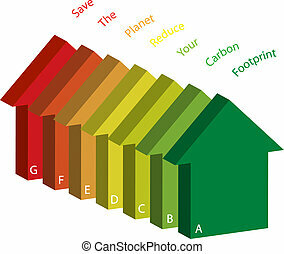 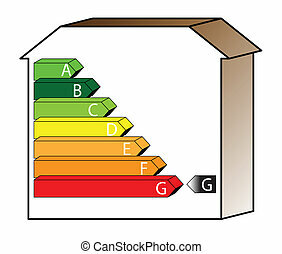 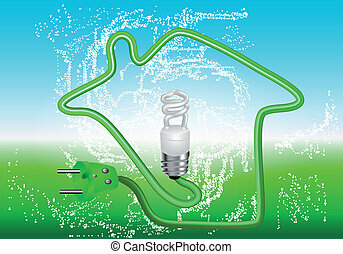 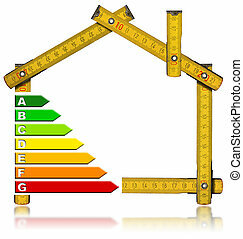 energy houses with the phrase \"save the planet reduce your carbon footprint\"